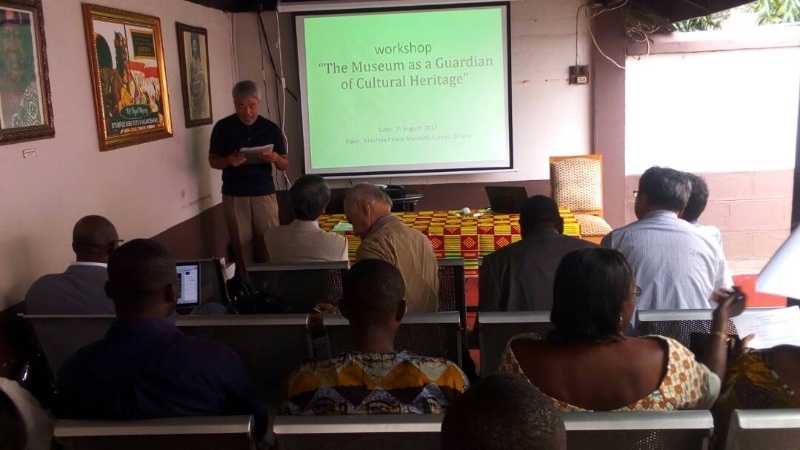 The Museum is unique creation in West Africa by the Asante Kingdom, to commemorate their leaders, and to communicate the riches of their history and culture to the world. It is a relatively small Museum but stuffed with history larger and older than its size making a visit to the place a worthy one. The Museum building is of great historical interest and importance as it also houses the Museum’s exhibits such as royal regalia, photographs, medals, furniture, drums and palanquins which are over two hundred years, a battle dress which dates back to 1900 and many objects of historical significance as well as effigies of all past kings and the current occupant of the Golden Stool. Visitors to the Museum will be able to view video-presentations explaining Asante history and the richness of its culture, as well as splendid examples of the gold-work for which the Asante are world famous. These include gold weights, bracelets and pots for gold dust which were removed from the Palace by Lord Baden Powell, founder of the Boy Scouts Movement and a member of the British expeditionary force in Kumasi in 1896. Here too are the life-sized effigies of the Nana Prempeh I, Nana Yaa Akyaa and the legendary Nana Yaa Asantewaa, Queen of Ejisu, who in 1900 led the uprising and last of the seven Asante wars with the British, when the British Governor demanded the surrender to him of Asikadwa (Gold Stool). 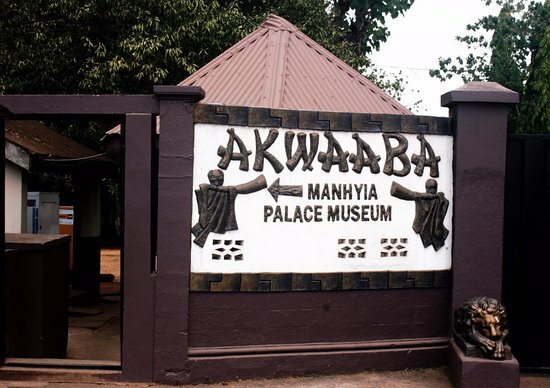 The Manhyia Palace Museum was created within the old residence of Otumfuo Agyeman Prempeh I and Otumfuo Sir Osei Agyeman Prempeh II, the thirteenth and fourteenth Kings of Asante respectively. This historic building was rehabilitated in 1995 at the cost of approximately twelve thousand Ghana cedis (GHc12,000) to serve as a Museum. The cost of rehabilitation was met by generous contributions in cash and in kind by friends and well-wishers of Asanteman and the King. The Museum is unique in West Africa for it has been created by a single people, the Asante Nation, to commemorate their own leaders, and to communicate the riches of their history and culture to future generations and to the ever-increasing numbers of visitors who come to Ghana every year from all over the world. The Museum building is of great historical interest and importance. It not only houses the Museum’s exhibits; it is itself an exhibit of the Museum. It was built in 1925 for Asantehene Agyeman Prempeh I, by the British Colonial Government, as his private residence when he returned from Seychelles after twenty-eight years in exile. It was from this Palace that he ruled, for his people kept his Stool – the Asikadwa (the Gold Stool) – vacant during the twenty-eight years he was away in exile, and welcomed him back as Asantehene. To the Asante, therefore, the period that he was away in exile (1896 to 1924) was not an interregnum and to remove any doubt as to his status or their relationship to him, they steadfastly refused to allow their King to accept the building as a gift from the British Colonial Government, or to occupy it, until they had paid for it. The building therefore became, from the moment it was occupied by Asantehene Prempeh I, the AHENFIE -the Palace. It was the Palace of Nana Prempeh I, and his successor, Otumfuo Sir Osei Agyeman Prempeh II, who reigned from 1931 to 1970. The lower floor of the Museum has been preserved just as it was in the days of Otumfuo Agyeman Prempeh II and serves as a lasting memorial to his life and long service to the Asante Nation. Here can be seen photographs of many important events in Asante history, the first black & white Television to Asante Nation which dates back to 1965, the bronze head of Nana Prempeh II, books shelf containing a collection of books used by the Kings and a Sketch Map of Asante Empire. 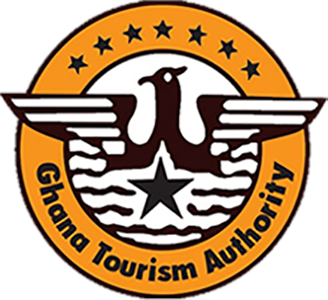 The exhibits within the Museum include life-sized effigies representing Otumfuo Agyeman Prempeh I (1888-19931), Otumfuo Sir Osei Agyeman Prempeh II (1931-1970), Nana Ama Serwaa Nyarko (1945-1977), Otumfuo Opoku Ware II (1970-1999), Nana Afia Kobi Serwaa Ampem II (1977 to date), Nana Yaa Akyaa (1880-1917), Nana Yaa Asantewaa and Otumfuo Osei Tutu II (1999 to date), the reigning Asante King. Others include Regalia, photographs, medals, furniture, drums and palanquins which are over two hundred years, a battle dress which dates back to 1900 and many objects of historical significance. The Museum was officially opened on August 12, 1995 by Otumfuo Opoku Ware II, the 15th King of Asante, as part of activities marking the Silver Jubilee of his accession to Asikadwa (the Gold Stool). The Museum is a two-storey building with open verandas as a yard. A small outhouse was added in 1995 for use as the Museum Shop. Purchase some souvenirs from the nice gift shop loaded with reasonably priced local and regional items. 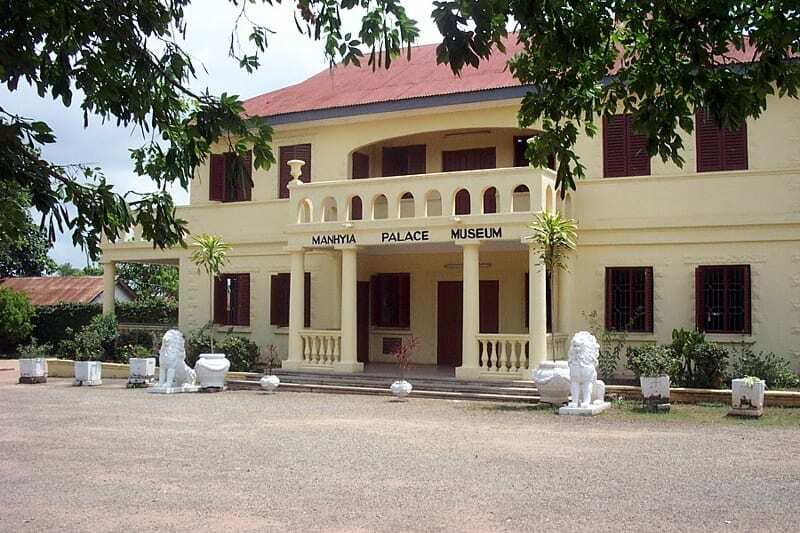 The Manhyia Palace Museum is within the premises of the Manhyia Palace in Kumasi, Ghana. Transportation to and from there is pretty easy. Public transport is available to the Museum. P.O.Box KS 6951, Kumasi. Ashanti.